Retail business is highly competitive but it is also an industry that it is full of opportunities because retail stores are something that is always going to be in demand. Starting a first retail store is a dream that is definitely achievable. Any business has its risks at initial level and you always have to prepare for the worst and hope for the best. Starting a retail store requires a lot of planning and preparation because you have to be prepared for the tough competition that you are going to face. 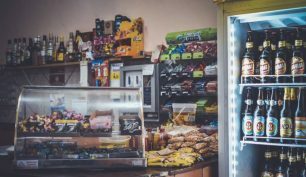 Here are a few tips that can help you in opening your first retail store. The first that you need to do is to select a legal structure on which you can build your business. Choosing the legal structure is the most important decision when it comes to starting the business. The most common structure chosen by retail stores is the LLC structure because it is a simple and easy one to use. The name of the retail is extremely important because people are going to recognize the store by the name you choose. It will be the representative of the values of the store. The name should be unique but it should also be memorable and easily recognizable. Name matters a lot and you need to make sure that you choose wisely. The retail stores need products and services that it can offer to the customers. Make sure that there is demand for the products or the services that you choose to offer. Once you have determined what you are going to offer you can invest in equipment and tools that you need to run the store. If you are offering food then you will need upright, chest or undercounter fridge and freezers. There is a lot of competition in retail industry so it is important to offer a great and convenient shopping experience to the customers. You need to clearly define the channels that the customers can use to do business with you. You can offer online store along with the brick and mortar store so that people can shop from the comfort of their house as well. A mobile app is also something that is essential for competing with other stores. It is hard to move forward without having a proper plan to make sure that you have a detailed and comprehensive business plan. A business plan is crucial for the business as it offers a clear path that a business can follow and become functional. A business plan covers all aspects of the business and offers strategies that help business in dealing with potential challenges and competing with established stores. The key areas a business should focus on are researching the competition, marketing plan, customer experience, management plan, financial plan and employee plan. The plan should also clearly state the store policies because the policies are crucial when it comes to handling day to day operations as well as special situations.